NOTE: SVP does not subscribe to all points and principles given herein. However, there is much herein that SVP does agree with. from: "A Dictionary of Musical Terms"
1) The science which treats of the nature and laws of sound. 2) The sensation of sound consists in the communication of a vibratory motion to the tympanic membrane of the ear, through slight and rapid changes in the pressure of the air on its outer surface. 3) The mode of propagation of sound in air may be explained in the following manner. Suppose a small particle of fulminating silver to be exploded in free air; the air particles immediately contiguous are driven outwards in all directions by the explosion, their motion is almost instantaneously communicated to the adjacent ones, those first agitated coming at the same time to rest; the adjacent ones pass on the impulse in the same way to those at a greater distance, and so on; thus the explosion gives rise to what may be looked on as a rapidly expanding shell or constant thickness, containing at any instant between its exterior and interior surfaces a stratum of agitated air particles each one of which performs a single vibration to and fro during the passage of the shell over it; in other words the exterior and interior surfaces of the shell are at any time the loci of all those points at which the particles at that instant come under the influence of the impulse, and are left at rest by it respectively, so that its thickness depends both on the rapidity of their vibration and the rate at which they pass on the impulse, one to another. Let us suppose now that immediately after the first explosion a second were to take place; then, in exactly the same way there would be a second pulse propagated in all directions. If a series of explosions at regular intervals were to take place, there would be a regular series of expanding shells; and if the intervals were sufficiently small, the alternate changes of pressure, due to the successive collisions of the air particles against the tympanic membrane of an ear in the neighborhood of the explosions would convey to the brain a sensation of a continuous note. Exactly the same thing occurs if, for a series of explosions, are substituted the vibrations of an elastic body; and it is, in general, by the latter means that all sounds, and especially musical ones, are produced. The motion of a sound wave must not be confounded with the motion of the particles which transmit the wave. In the passage of a single wave each particle over which it passes makes only a small excursion to and fro, the semi-length of which is called the amplitude of the vibration, the time occupied during one vibration being called its period. 5) At a temperature of zero Centigrade sound is propagated at the rate of about 1090 feet per second, and this speed augments about two feet per second for every additional degree of temperature; thus at 15° C. the rate of propagation would be about 1120 feet per second. The velocity of sound in air depends on the elasticity of the air in relation to its density. It is also directly proportional to the square root of the elasticity, and inversely proportional to the square root of the density. Now for a constant temperature the elasticity varies as the density, hence in this case they neutralise one another, and the velocity of the sound is independent of the density of the air. Hence to determine the number of vibrations per second, corresponding to a sound of a given pitch, we have only to maintain such a pressure of air in the syren as will cause it to produce the same sound for the space of a minute, and note the number of revolutions registered in that time. Now, for every revolution of the upper disk, the same number of sound waves are propagated around as there are perforations, hence the whole number propagated in a second will be the product of the number of holes and number of revolutions per minute divided by 60; and this result will evidently be the required number of vibrations per second caused by the given sound. To apply this to find the wavelength corresponding to the note given by the open C string of the violoncello, we should adjust the supply of air to the syren until it gives a note of the same pitch. Supposing the number of holes in each disk to be 18, the number of revolutions per minute would be found to be 220. Hence the number of vibrations per second of the string, and therefore of the surrounding particles of air, would be 220 x 18/ 60 = 66. Supposing the temperature were 16° C the velocity of sound would be about 1122 feet per second, and the number by 66 gives the wave length corresponding to that number of vibrations per second; that is, just 17 feet; the sound then will travel through this distance during the time the string takes to perform one complete vibration. 8) If the number of vibrations per second be increased, the pitch of the sound caused by them is raised, and vice versa, as can easily be illustrated by driving more or less air into the syren, and observing the sound it produces. Dr. Wollaston has shown (Phil. Trans. 1820, p. 336) that if the number be increased, beyond a certain limit the sound becomes inaudible, although this limit is not the same for all ears, some persons being perfectly sensible to sounds inaudible to others. In general it is probable that no sound is heard when the number of vibrations per second exceeds 40,000; while on the other hand the perception of pitch appears to begin when the number of vibrations is somewhere between 8 and 32, the wave length being in the former case about 0.03 of an inch - in the latter ranging from 140 feet to 35 feet. 9) Sounds are primarily divided into two classes, musical and unmusical; the former being defined as those produced by regular or periodic vibrations, the latter by such as are irregular or non-periodic. These definitions require some explanation, since, by sounding together a sufficient number of notes sufficiently near in pitch, it is plain that we could produce as unmusical (noise) a sound as we pleased, although the components would be themselves due to periodic vibrations, and would therefore musical. The answer to this is found in the fact that when two or more sets of sound waves impinge on the ear at the same instant, since each one cannot impress its own particular vibration on the tympanum contemporaneously with those of the others, the motion of the latter membrane must be in some way (be) the sum of all the different motions which the different sets of waves would have separately caused it to follow; and this is what in fact does happen, i.e., the vibrations due to each set combine and throw the tympanum into a complicated state of vibration, causing the sensation of the consonance or combination of the different sounds from which the sets of sound waves proceed. Now the unassisted ear is only able to distinguish the separate notes out of a number sounded at once up to a certain point; beyond this it fails to distinguish them individually, and is conscious only of a confused mixture of sounds which approaches the more nearly to the character of noise the more components there are, or the nearer they lie to one another. A noise, then, may be defined as a sound so complicated that the ear is unable to resolve or analyze it into its original constituents. 10) As the character of a sound depends upon that of the vibrations by which it is caused, it is important to know of what kind the latter must be in order that they may give the sensation of a perfectly simple tone, i.e., one which the ear cannot resolve into any others. Such a vibration is perhaps best realized by comparison with that of the pendulum of a clock when it is swinging only a little to and fro. Under these circumstances it is performing what are called harmonic vibrations, and when the air particles in the neighborhood of the ear are caused by any means to vibrate according to the same law as that which the pendulum follows, and also with sufficient rapidity, a perfect simple tone is the result. Such a tone is, however, rarely heard except when produced by means specially contrived for the purpose. If a note on the pianoforte is struck, the impact of the hammer on the string throws it into a state of vibration, which, though periodic, is not really harmonic; consequently we do not hear a perfectly simple tone, but one which is in reality a mixture of several higher simple tones with that one which corresponds to the actual length of the string. The former are, however, generally faint, and become associated by habit with the latter, appearing to form with it a single note of determinate pitch. These higher tones are harmonics of the string, and are produced by vibrations whose numbers per second are respectively twice, three times, four times, etc., as great as those of the fundamental tone of the string. The same may be said of the notes of all instruments, including the human voice, which are usually employed for the production of musical sounds. 11) Since the consonance of two or more such simple tones always gives a more or less musical sound, and since also the ear is always more or less capable of resolving the latter into its components, the question naturally arises whether all sounds are not, theoretically at least, resolvable into simple tones. The answer to this is contained in a celebrated theorem due to the French mathematician Fourier. He has shown that any periodic vibration is the result of combining together a certain number of simple harmonic vibrations whose periods are aliquot parts of that of the former; and we have conclusive reasons for supposing that, in the same way as a compound periodic vibration gives rise to a compound sound, so the simple tones into which the ear resolves the latter are respectively due to the simple harmonic vibrations which, as the above mentioned theorem proves, make up the former. 12) The theorem of Fourier referred to in the preceding article is of such great importance in all questions connected with acoustics that a few words illustrative of it may not be out of place. If a peg is fixed into the rim of a wheel capable of revolving about a fixed center, and at right angles to the plane of the wheel, and if the latter is caused to rotate uniformly and is looked at edge ways the peg will appear to move up and down in a straight line, its velocity being the greatest at the middle of its course, and diminishing as it approaches each end. Under these circumstance the peg appears to perform harmonic vibrations. Now suppose a second wheel, also furnished with a peg in its rim, is made to revolve about the peg of the first as an axis. If the latter is at rest the peg of the second will appear, looked at as above, to perform harmonic vibrations; but if the former is also caused to revolve these vibrations are no longer harmonic, but are the result of adding together the separate harmonic vibrations of the two pegs, in other words of superposing the harmonic vibrations which the second peg performs if the first wheel is at rest, upon those which the first peg performs when it is itself in motion. Now it is evident that by continuing this process indefinitely, and by giving the wheels different radii, and different uniform velocities of rotation, the final motion of the last peg looked at sideways as before, would be an exceedingly complicated one, and that an indefinite number of different vibrations could be produced by varying the number, position at starting, radii, and velocities of the wheels, though it could not be assumed without proof that every possible variety could be so produced. This however is what Fouriers theorem asserts, provided that the velocities of rotation of the several wheels of the series are in the proportion of 1, 2, 3, 4, 5, etc. 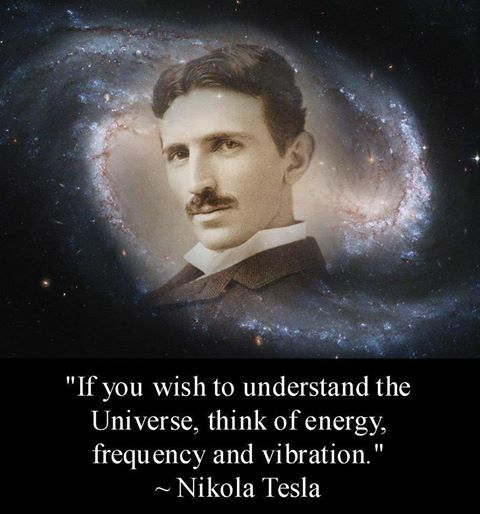 In other words, every periodic vibration is the resultant of a certain number of harmonic vibrations whose periods are one-half, one-third, one-fourth, etc., that of the former. 13) A harmonic scale is formed by taking a series of notes produced by vibration whose numbers in a given time are respectively as 1, 2, 3, 4, et. The notes marked with an asterisk do not exactly represent the corresponding tones; but are the nearest representatives which the modern notation supplies. All the notes of the harmonic scale can theoretically be produced by either a single string, or by a simple tube used as a trumpet. If we lightly touch the string of a violin, without causing it to come in contact with the finger board, at any one of a series of points dividing it into a number of a equal parts, and excite it by means of a bow, it no longer vibrates as a whole, but separates into the number of equal vibrating segments which is the least possible consistent with that point forming one of their points of diversion; the latter remain stationary, or very nearly so, and are called nodes, their number being evidently just one less than that of the segments. It is plain that if the point of application of the bow be one of a series of nodes, no sound will be produced, provided, of course, the finger remains on any other of the same series, and this may serve to explain why it is sometimes difficult to bring out the higher harmonics of a violin, as the bow may, unconsciously to the performer, be passing exactly over one of the corresponding nodes. The first harmonic, as it is called, of the open string is produced by touching it while on a state of vibration at its middle point, and thereby dividing it into two equal portions, both of which vibrate twice as fast as the whole, and accordingly give the octave. The second harmonic, or the twelfth of the fundamental, corresponds to a division of the string into three equal portions, and so on. And generally, in order to produce the nth harmonic the finger should touch the string at any one of the series of points which divide it into n equal portions. In practice, however, the finger should always touch the string at the point of division adjacent to either end. 14) The harmonics of a simple tube used as a trumpet are the same as those of a vibrating string, viz., the octave, twelfth, fifteenth, etc., and are produced by modifications of the breath and lips; but there is a great difference between the nature of the vibrations which produce sound, in the case of strings and pipes. In the former case the vibrations are executed at right angles to the length of the string, that is, are lateral or transverse, while in the latter they are in the direction of the pipe, or longitudinal, and are the vibrations of the air itself with it. Actually the string has all three primary modes of vibration with the lateral or transverse predominating. 15) When an open organ pipe is sounding its fundamental tone, the particles of the column of air within it are all, more or less, in a state of vibration parallel to the length of the pipe, of which the intensity is at its maximum at the two ends, growing less and less towards the middle, where there is a node, that is, a point of no disturbance. The harmonics of an open organ pipe follow the same law as those of a simple trumpet, or vibrating string. The fundamental note of a stopped organ pipe is an octave below the fundamental note of an open organ pipe of the same length. When it is sounding this note there is no node, and the first harmonic is a fifth above the octave, the second a major sixth above the first, the third a diminished fifth above the second, and so on. Or, more simply, the successive tones of the harmonic scale of an open pipe are produced by vibrations which are as 1, 2, 3, 4, etc., those of a stopped pipe by vibrations which are as 1, 3, 5, 7, etc. 16) It was stated (§10) that the sound of a vibrating string was in general compounded of a number of simple tones, and a well trained ear can detect a considerable number of them. If it were not for these harmonic components the tones of strings, pipes, of the human voice, or in short, of every instrument most generally used for the production of sound, would be flat and uninteresting like pure water. Each harmonic component is by itself a simple tone, and is due to the vibration of the corresponding segment of the string superposed upon that of the whole. The same statement applies, mutatis mutandis to pipes, whether open or stopped. That the harmonics of different instruments greatly influence their several characters is observable in the difference of the tones of a flute, and clarinet. A flute is an open pipe, a clarinet a stopped one end; in the former, therefore, the harmonics follow the order of the natural numbers 1, 2, 3, 4, and in the latter the order 1, 3, 5, 7; the intermediate notes being supplied by opening the lateral orifices of the instrument. 17) When two simple tones, that is (as explained above), notes deprived of all the harmonic components which under ordinary circumstances accompany them, are sounded together very nearly in unison, there are heard what are called beats succeeding one another at regular intervals, their rapidity depending inversely on the smallness of the interval between the two tones. Their origin may be explained thus: Suppose the tones to be produced by vibrations numbering 500 and 501 per second respectively, then every 500th sound wave of the former will strike on the tympanum at exactly the same instant as every 501st of the latter and will reinforce it; while at the 250th of the first the corresponding wave of the other will be just half a period in front of it. Now a sound wave consists of a condensed and rarefied stratum of air particles, and therefore the condensed portion of one wave here coincides with the rarefied portion of the other and neutralizes it. Thus there will be an alternate reinforcement and diminution of sound, every second, from the maximum intensity when both waves impinge on the tympanum at the same instant to the minimum when they counteract each other as much as possible and vice versa. In the above case it was supposed that the number of vibrations of one tone were only one more per second than those of the other; but if the difference of the numbers had been two, for instance, then in one second the first tone would have gained two vibrations on the other, and there would have been two beats; and in general the number of beats per second is always equal to the difference between the two rates of vibrations per second. 18) In the preceding section, the cause of beats due to two simple tones of nearly the same pitch was explained, and it was seen that the number of beats per second was always equal to the difference of the numbers of vibrations per second of each tone; so that as the interval between them increased so would the number of beats increase in a given time. Hence it is obvious that if the interval became sufficiently large, the beats would succeed each other so rapidly as to become undistinguished. For instance, in the case of the fifth whose lower and upper tones are produced by vibrations numbering 264 and 396 per second respectively, the number of beats per second would be 132 and would therefore be undistinguished; and still more so supposing the upper tone to have 397 or more vibrations per second; but, on the other hand it is a well-known fact, that if an imperfect fifth, octave, or any other tolerably simple interval is played on a violin or violincello, the beats are most distinctly heard succeeding each other at perceptible intervals; whereas according to what was said above they should occur so rapidly as not to be heard at all. Two explanations of this phenomenon have been given, of which by far the most simple is due to Helmholtz; and which here follows. It appears that when the tones are simple and at a sufficiently large interval the beats should occur too rapidly to be heard, whereas when the interval is played on a violin they are easily distinguishable. The reason of this fact is that in the latter case the tones are no longer simple but compound; and the beats which are heard are not due to the fundamental tones themselves but arise from two of their harmonic components which are nearly unison. Suppose the ratio of the interval between the fundamental tones to be m/n, that is, let m/n, be the fraction, reduced to its lowest terms, which is formed by putting in the numerator the number of vibrations per second of the upper tone, and in the denominator those of the lower. Then it is plain that the nth harmonic component of the tone m, will be of the same pitch as the mth harmonic component of the tone n; for they will each have exactly mn vibrations per second. Now let M/N be the ratio, expressed in the same way, of another interval, nearly, but not quite, equal to m/n; then the nth harmonic component of M will have Nm vibrations per second, while the mth component of N will have Nm. Now since M/N is nearly equal to m/n, the difference between Mn and Nm will be a small number; and when the two notes are sounded together the number of beats per second will be equal to that difference. For example, let m/n, be the ratio of a fifth, that is the fraction 3/2, and let M/N represent very nearly the same interval, say 397/264; then the difference between Mn and Nm, or 794 and 792, is 2; hence if two strings tuned apart at an interval represented by 397/264 are sounded simultaneously there will be two beats heard per second. 19) When the vibrations of the air due to a number of different sounds which co-exist at the same time are infinitely small, they are merely superposed one on another, so that each separate sound passes through the air as if it alone were present; and this Law of Supposition holds, though only approximately, until the vibrations have increased up to a certain limit, beyond which it is no longer true. Vibrations which give rise to a large amount of disturbance produce secondary waves; and it is to these that the phenomena of resultant tones are due. Thus if two notes a fifth apart, for instance, are forcibly sounded together, a third tone is heard an octave below the lower of the two, and this ceases to be perceptible when the loudness of the concord diminishes. In general the resultant tone of any combination of two notes is produced by a number of vibrations per second equal to the difference of the numbers per second of the notes. This fact formerly led to the supposition that the resultant tone was produced by the beats due to the consonance, which, when they occurred with sufficient rapidity, linked themselves together so as to form a continuous musical note. If this were so it is clear that the resultant ought to be heard when the original notes are sounded gently as well as forcibly; and it was the failure of this condition that led Helmholtz to the re-investigation of their origin. These resultant tones have been named by him difference tones; he has also discovered the existence of resultant tones formed by the sum of the numbers of vibrations of the primaries. These summation tones as they are called cannot be explained on the old theory. 20) The theory of beats explains the law that the smaller the two numbers are, which express the ratio of their vibrations, the smoother is the combination of any two tones. When two simple tones are sounded together whose rates of vibration per second differ by more than 32, the beats, according to Helmholtz, totally disappear. As the difference grows less the beats become more and more audible, the interval meanwhile growing proportionately dissonant, till they number 33 per second, at which point the dissonance of the interval is at its maximum. This, however, depends upon the position of the interval as regards its pitch. For it should be remembered that though the ratio of any given interval remains the same whatever the absolute pitch of its tones may be, yet the difference of the actual numbers of their vibrations, and therefore the number of beats due to their consonance, alters with it. And vice verse, if the difference of the number of vibrations remains constant, the interval must diminish as its pitch rises. For instance, either of the following combinations would give rise to 33 beats per second, since the numbers of vibrations of their tones per second, are 99-66, and 528-495, respectively. Now it is obvious that in the latter case the dissonance would be far greater than in the former. The above explanation of the cause of dissonance is also due to Helmholtz, and completely solves a question which had remained unanswered since the time of Pythagoras, although that philosopher made the important discovery that the simpler the ratio of the two parts into which a vibrating string was divided, the more perfect was the consonance of the two sounds. 21) The sound of the piano, violin, etc., is only in a small measure due to the actual vibration of the strings themselves. The latter communicate their own motion to the sound board of the piano, and to the front, back, and enclosed air of the violin. In the latter instrument communication is made to the surrounding air from that within it by means of the holes. If a string were merely stretched between two pegs firmly fixed in a stone wall and caused to vibrate, scarcely any sound would be heard at all, owing to the mass and rigidity of the wall, which would refuse to be thrown into vibration by so small an amount of energy as that which the string would possess. On the other hand, the sound board of a piano readily answers to the vibrations imposed on it when the string is struck, and having a large surface in contact with the air, every point of which originates a system of waves, it causes a full and powerful sound. 22) The vibrations of straight rods may be either longitudinal or transversal. The former have not been generally employed for the production of musical sounds; the latter are such as take place when a tuning fork is struck, or when a musical box or triangle is played. In the case of a curved rod the vibrations are more complicated, but there is one interesting case, namely, that in which the curved rod takes the form of a circular ring. In this case the fundamental tone is obtained by suspending it horizontally by four strings attached at equidistant points in the circumference, and by lightly tapping it midway between any two. If the number of vibrations then given be 2n per second, those of the successive harmonics are proportional to 3nsqrt6, 4nsqrt13, 5nsqrt22, etc. 23) The nature of the vibrations of a bell may be partly inferred from those of a ring, as the bell may be considered as consisting of a connected series of rings of different diameters all vibrating simultaneously; thus the fundamental tone of a bell would cause it to divide itself longitudinally into four equal segments, corresponding to the four quadrants into which the suspended ring divides. The period of its vibrations could not, however, be similarly inferred. 24) The vibration of plates is not, musically speaking, a subject of much interest, as the only instruments which depend upon it directly for the production of their sounds, are gongs and cymbals, and the same may be said of membranes. Chladni was the first to show the positions of the lines of nodes on a plate, by clamping it horizontally in a vice, and causing it to vibrate by passing a violin bow over one edge, having previously sprinkled it with a little sand. The lines of nodes being those parts of the plate which, like the nodes of a string (§13), are not thrown into vibration, remain covered with the sand which collects there from the vibrating portions, and in this way very curious and interesting figures are produced.